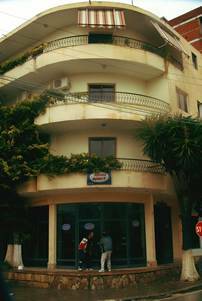 The Cakalli hotel is centrally located within the town of Saranda, Albania. 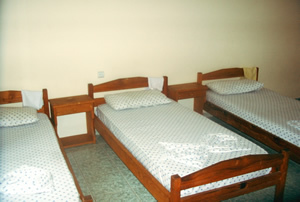 Offering both private rooms and dorm rooms (with a maximum of only 4 to a room for your comfort) the Cakalli hotel rates (from 1st November 2006) all include freshly prepared breakfasts. All of our rooms have ensuite bathroom, air conditioning / heating, fridge and a balcony overlooking either the town or the sea. 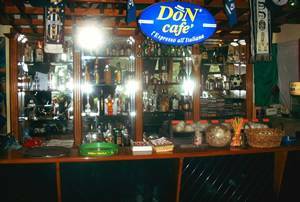 On the ground floor of the hotel is a Sports theme bar and Cafe offering our guests coffee, tea, a range of drinks, snacks and meals. 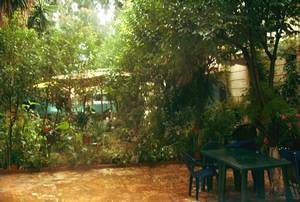 There is also a large courtyard surrounded by trees for our guests to relax and enjoy their meals or drinks etc. The sports bar has a large screen tv projector for your enjoyment of sporting events such as football! 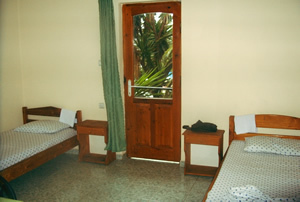 All rooms have private ensuite bathrooms, air condiditoning / heating, fridge and sea or town view balconies. 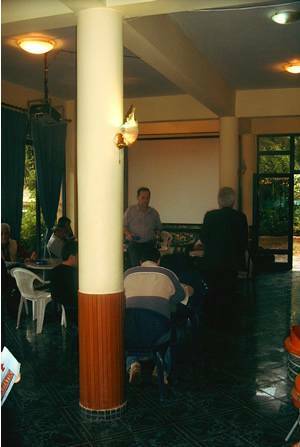 The hotel is centrally located near to the main square in Saranda. Pizza and a selection of other choices served in our sports bar or in our courtyard. A deposit is payable to secure your reservation. The balance is payable upon arrival at the hotel. Our cancellation policy enables us to charge for the first nights accomodation in the event of a no show. To cancel your reservation, you must contact the hotel, preferably via email at least 24 hours prior to your arrival date. In the event of a cancellation that meets these requirements, no further charges will be made to your credit card. The deposit, at all times remains non refundable. Exit the port, turn right. Walk up to the main road and turn right. You will pass a small street market of traders selling food items. Just past this, on the right hand side, is the hotel. The entrance to the hotel is via the sports bar.